Whimbrel (2-5 people) / The Whimbrel is the perfect intimate haven for two to five people and is unparalleled with its affordability. Great for the family getaway! 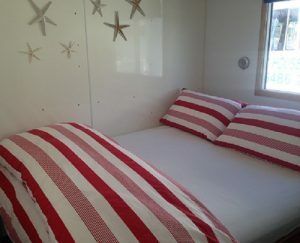 You have on board two separate double bedrooms, separate toilet and shower, plenty of lounge and living space to be able to accommodate up to 5 people by utilizing the fold out sofa bed. This practical two bedroom houseboat is all on one level inside and is designed for an adult escape or a family getaway. 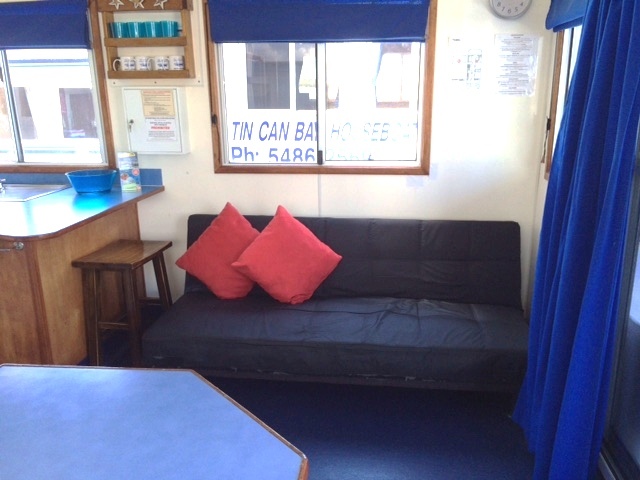 Like the larger houseboats, it has been fully equipped, and has all the facilities including a fully functional kitchen, full size fridge/freezer, BBQ, lounge, TV, DVD and CD stereo. Even though this sprightly vessel is ideal for 4, two of you can handle it with ease, and has flexibility to sleep up to five. 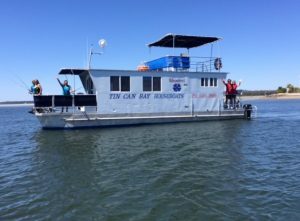 So book now for the best houseboat deal in “ Queensland “. 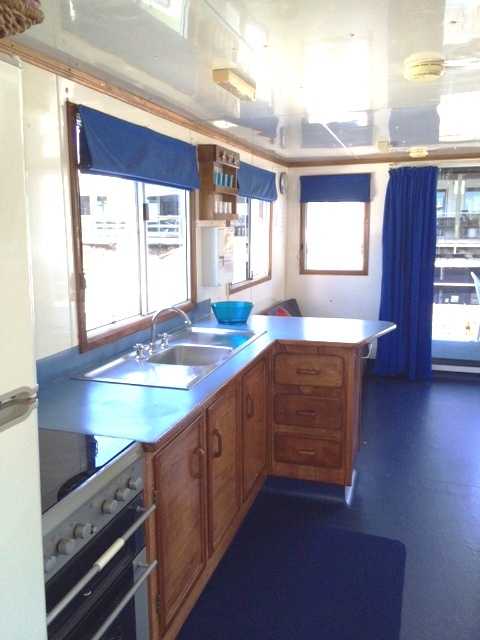 Features: 2 x Double Cabins, King Single Futon, Full size Fridge/Freezer, TV, CD, DVD, Toilet, GPS Plotter, Electric Anchor Winch, and Twin 70hp motors. Ideal boat for 2 couples or small family. 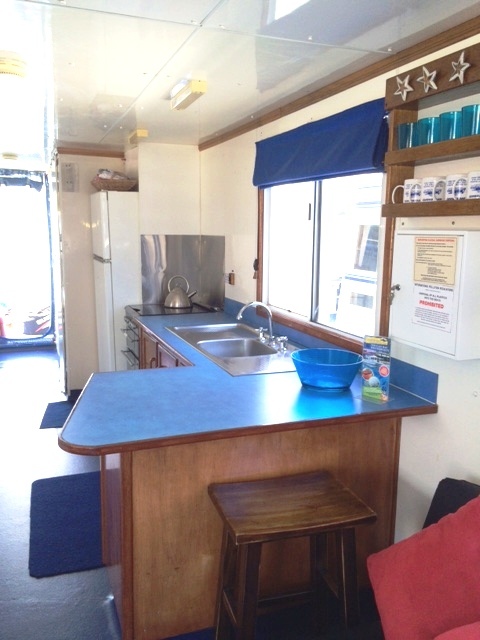 Large forward deck area for the keen fisherman with chairs and big Esky. BBQ on back deck. 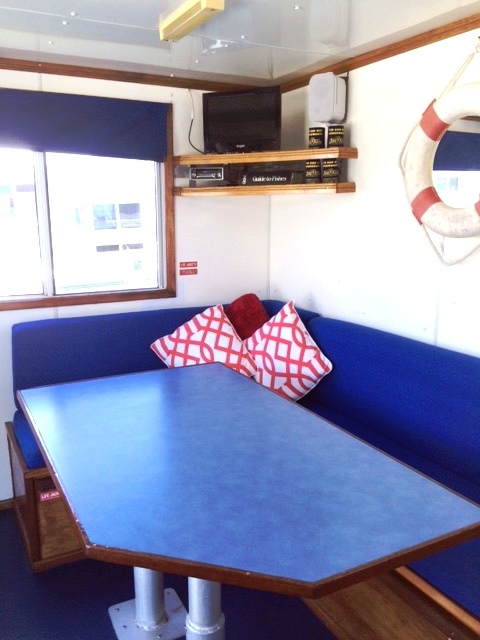 Upstairs table with chairs and Bimini sunshade protection.